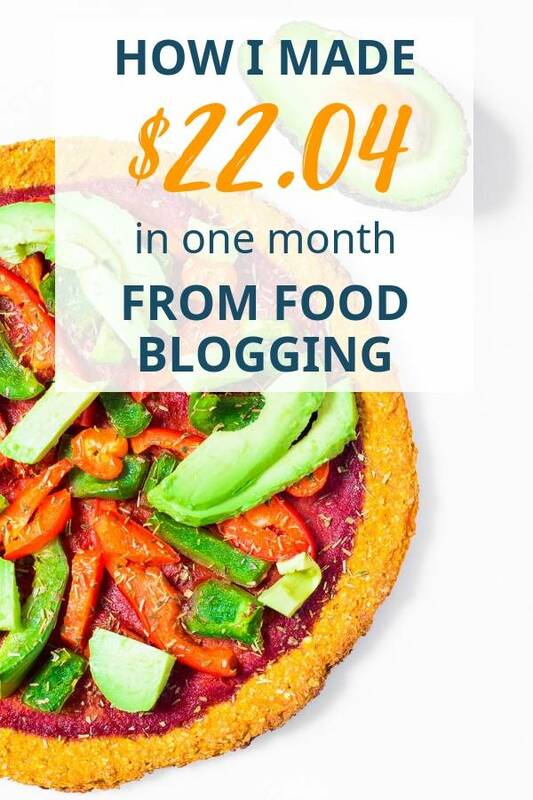 To help you or motivate you in case you want to start your own food blog but you don’t know how to make money from it. To document my blogging journey and see where it brings me. 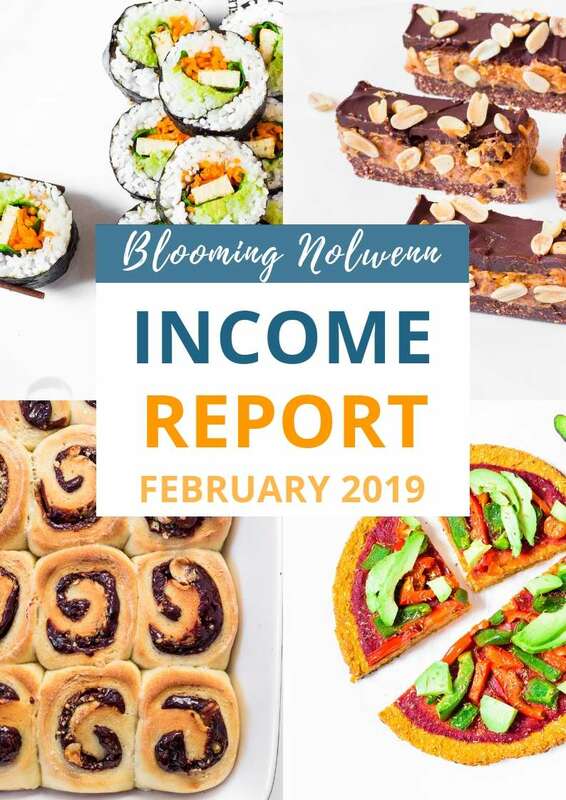 Sharing these income reports with you also forces me to review my blog each month and think about what worked and what didn’t when it comes to making money with my blog. 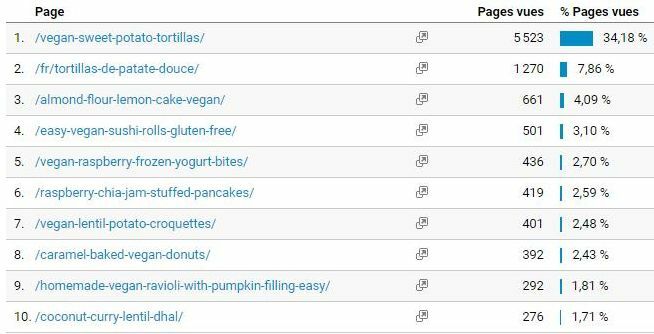 This pin has been bringing me consistent traffic for over 8 months now and it’s still my most popular recipe on my blog today. I would never have thought this recipe could be trending on Pinterest one day, but it is! I focused on Pinterest and followed Carly’s Pinterest Strategies course which has brought my traffic to a new level. In a month, I went from 7k sessions a month to 13k sessions a month and my traffic is still increasing today! Carly is a full-time blogger and her Pinterest Strategy brings her more than 200k page views per month, without a scheduler. Since I don’t want to put money in Tailwind for now, this course is perfect for me and still allows me to grow my blog with manual pinning. Finish my recipe ebook! I only have a few recipes left and then it will be ready 🙂 I’ve been working on this ebook for over 6 months and I can’t wait for you to have it. This ebook contains my go-to 35 easy vegan recipes that are easy to make, gluten-free, oil-free and delicious. 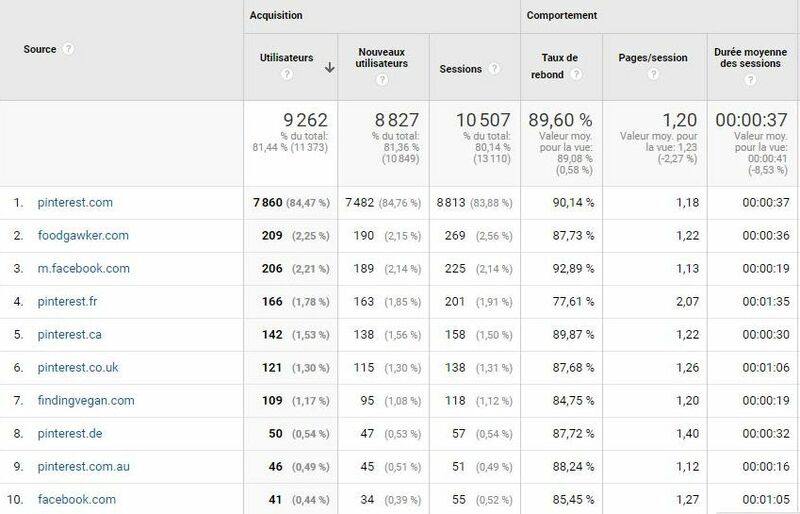 Reach 20k sessions per month. I know it’s possible and I’m going to do my utmost to reach this goal. Make $50 with my blog. Again, I know it’s possible if I focus more on affiliate marketing which I’ve been trying to do for the last month. Alright, that’s it for this month! I can’t wait to see what March has in store for Blooming Nolwenn.